If you are familiar with Faith.com on the web, you already know it is a great resource for inspiring, funny and cute videos. However, the site doesn’t always translate well on a mobile device. To those in need of Faith.com on the go, there is an app for that. 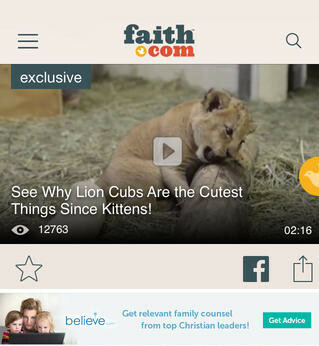 Faith.com is already the go-to destination for the internet’s most inspiring and family-friendly videos. Now you can be instantly uplifted anytime, anywhere, with access directly from your smartphone using the Faith.com app. From unforgettable stories of grace to cute and cuddly animals, the Faith.com app brings you the best videos from across the web. You’ll discover new ideas and inspiration for fostering faith in your daily life! The navigation for the app is simplicity at its best. A stream of videos dominates the screen that will play with just a simple tap. Just pick a category you are interested in to see a variety of relevant media. Sharing has never been easier with options embedded to favorite and share to Facebook, Twitter or Pinterest for each one. Settings and options help customize your video feed. There are easy accessible descriptions for the videos which can be displayed by pulling on the yellow dove tabs on the right side of the screen. 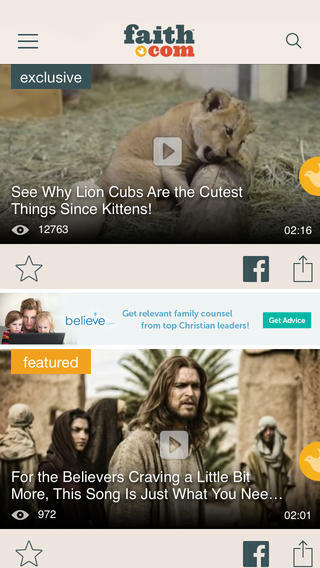 A counter in the bottom left keeps track of how many times each video has been viewed and the app also has an option to sign up for the Faith.com newsletter under the settings area. 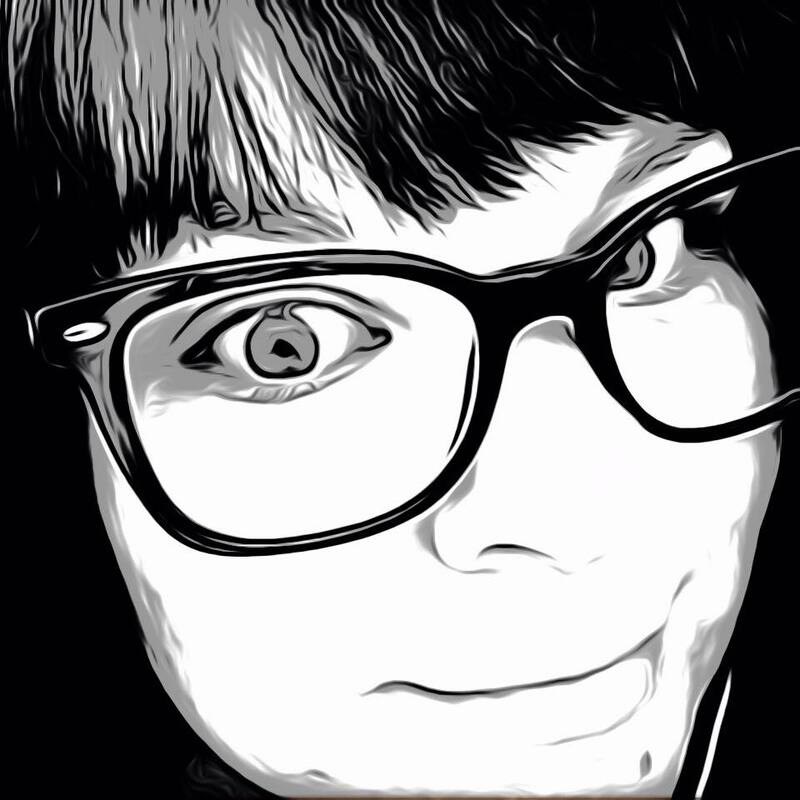 Faith.com is an easy browse and watch app that looks smooth and runs smoother. Fans of the website are sure to enjoy, and new fans are sure to be made. The Faith.com app is available for free and is compatible with iPhone, iPad and iPod Touch.